One of my favorite attributes of CAPACES Leadership Institute is its inclusivity. Regardless of skill, skin color, nationality, opinion, or your past or present, you are eagerly welcomed as a part of our community. 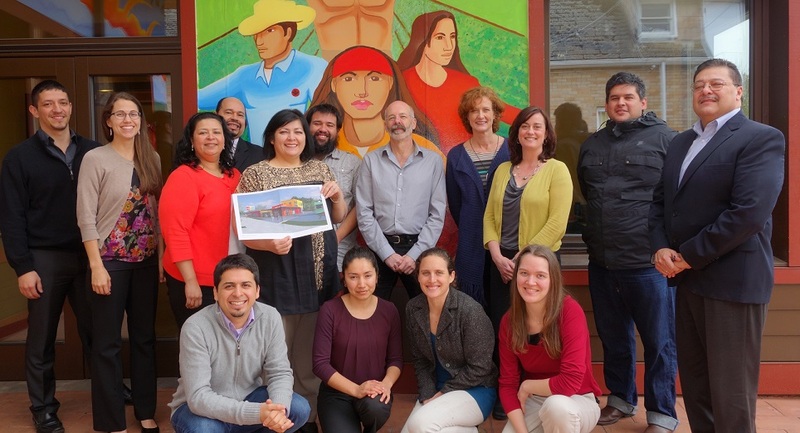 This acceptance of diversity is reflected in our visitors, volunteers, program participants, Brigada work days, and groups hosting events at our state-of-the-art Passive House facility. We would be honored by your visit, too! Quick note: Brigada work party Saturday May 24 @ CAPACES – food, fun, friends, and… bring your work clothes! 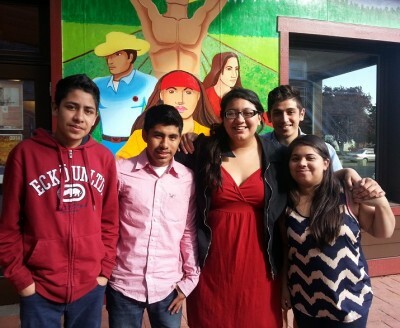 We are proud to have recently worked with Beatriz, Lupe, Sam, and Isa. These four interns from Willamette University served at CAPACES, PCUN, and Radio Movimiento for 10 weeks, sleeves rolled up and great energy abounding. The internship was part of their coursework for Transnational Labor Politics. Thank you for your contributions! In May CAPACES hosted Beyond Pesticides‘ 2014 national conference. Beyond Pesticides participants spent one of their seminar days learning about the impact of pesticide use while visiting sister organizations CAPACES Leadership Institute, PCUN, and the Farmworker Housing Development Corporation (FHDC). After listening to testimonials from Carmen and Rafaela, touring farmworker housing, and learning more of the true impacts of pesticide use, they responded in this video with one word or phrase that summarized their experience. Check out the video here. Thank you for being a part of our community, Beyond Pesticides! 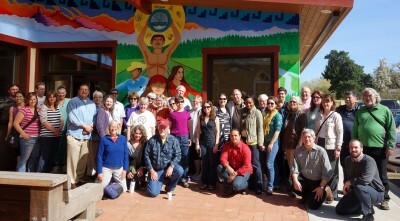 We also hosted Pacific University‘s council meeting, and shared a day with Hacienda CDC, among other wonderful visitors. What an honor! Right now we’re working on establishing a volunteer program. To those of you have generously offered of yourselves, I promise we’ve not forgotten you. We’re looking forward to best utilizing your time and interests within the CAPACES community.